Here is just a small sample of shrapnel you can still find in the Somme area of France today. 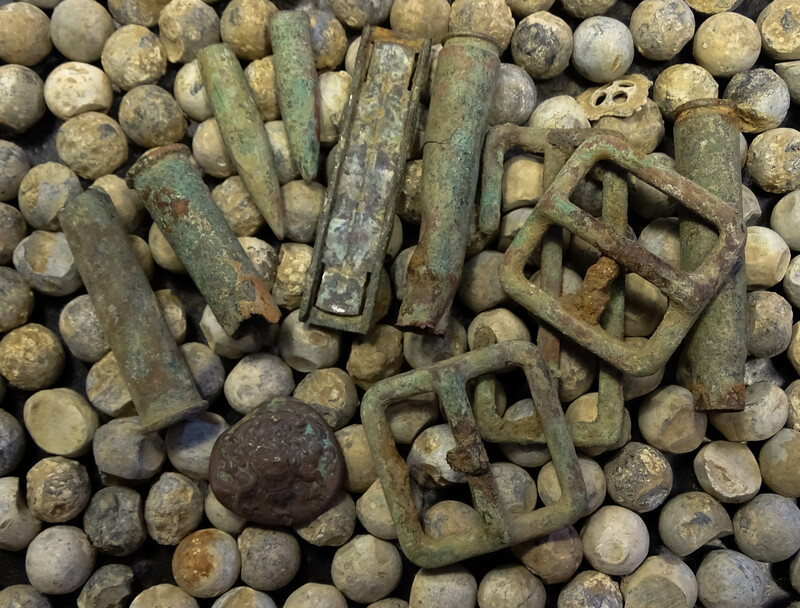 The photograph shows shrapnel balls from exploded shells, buttons and webbing clips from kit as well as British and German bullet cases and tips. Even today, the occasional unexploded bomb can be found in the fields there. Take a look at our other World War One stories. Thanks to Diane Holmes for allowing us to use her photograph.